The air purification industry has broadened considerably in the last several years with products being made for all parts of the globe. With air quality continually getting worse around the world, numerous companies have attempted to capitalize on consumer desire for clean air by making air purifying products. Obviously, in any industry there are good brands and bad brands. However, with the air purification industry becoming so cluttered, and new companies popping up each year, it can be difficult to know which air purifier manufacturers are the most reputable. 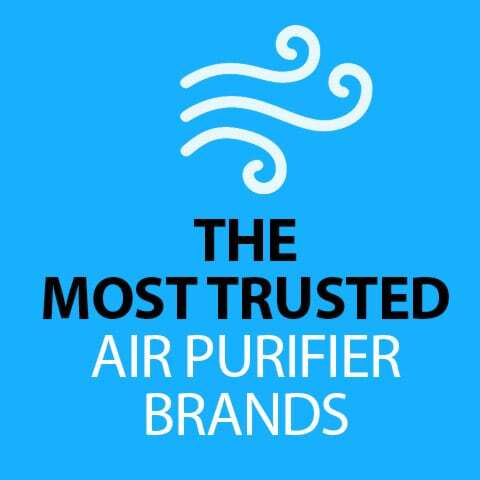 In this guide, we present the most trusted air purifier brands on the market along with a brief description of the technology they use for their products. When buying an air purifier, you can feel confident that you’re getting a high quality device if it comes from any of these manufacturers below. Airfree is a manufacturer based in Portugal. This brand is well known for cleaning the air through the use of its patented Thermodynamic TSS Technology. This technology operates completely different than the use of a filter, which is what many other air purifier manufacturers use to capture harmful pollutants. Airfree’s technology works by pulling air into a chamber through a convection system and then heats up the air to over 400 ºF. This extremely hot air neutralizes and kills microorganisms by incinerating them as they pass through the system. Airfree’s technology has been tested and proven by the INETI and numerous other international laboratories. Their products destroy 99.9% of all organic particles that pass through the air cleaner, including bacteria, viruses, mildew, mold, dust mites, allergens, pollen and tobacco odors. Alen brand of air purifiers are manufactured in Texas. For their air purifiers, this company uses the combination of an ionizer and HEPA filter to clean the air. In order to make their products more attractive to consumers, Alen offers the ability to customize the HEPA filter to target specific air quality concerns. You can choose to give your device extra cleaning power against dust and allergens, mold and germs, smoke and chemical fumes or pet and cooking odors. The secret behind all of this is a special additional layer or coating on each of the different HEPA filters. 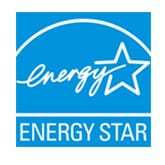 Additionally, this brand also prides itself on offering a lifetime warranty on all of its air cleaners. Austin Air Systems is located in New York. This manufacturer of air purifiers is known globally for having the largest factory in the world (480,000 square feet). All products made by Austin Air include a True Medical Grade HEPA filter, which the company claims to have an efficiency of removing 99.97% of particles down to 0.3 microns and 95% down to 0.1 microns. Another important highlight is that each product also includes a filter with the largest amount of Activated Carbon and Zeolite than any other manufacturer (6.5 lbs. for smaller units and 15 lbs. for large ones). This powerful filter is useful for removing chemicals, volatile organic compounds, gases, smoke and odors from the air. Austin Air products are so good at removing smoke and its odor that we recommend it as one of the top air purifiers for cigarette and cigar smoke. Blueair is a Swedish air purifier manufacturer. The major selling point of this brand’s products is the use of their patented HEPASilent technology. This technology offers the best in electrostatic and mechanical air filtration while creating as little noise as possible. Blueair claims that their HEPASilent technology provides 99.97% particle filtration efficiency down to 0.1 microns for all of its purifiers, and is one of the only companies that are independently verified by the Association of Home Appliance Manufacturers (AHAM). Blueair is featured in one of our guides as one of the best home air purifiers for asthma. Additionally, Blueair has received a lot of media attention and awards for their forward-thinking approach to air purifiers and product designs. A few standout mentions include Good Design, Red Dot and D&D awards, and Best in test by Testfakta, review in Stuff Magazine and review in the New York Times. Coway is headquartered in South Korea but also has operations in China, Europe, Japan, Thailand, Malaysia and the United States. The company boasts that it has the largest Research and Development Center of its kind in Asia. In addition to air purification, the brand also focuses on creating clean water solutions. 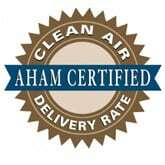 The air filtration methods for their air purifiers is the industry standard. They use a True HEPA filter to capture the finest particles that cause allergies, asthma symptoms and breathing problems, and an Activated Carbon filter for deodorization. We recommend this brand as one of the top air purifiers for removing dust. Coway has received several awards for their innovating designs of air purifiers, including ones from Red Dot, Good Design and If Design. Guardian Technologies is an air purifier brand located in Ohio. This company manufactures air purifiers that go by two names, PureGuardian and GermGuardian. PureGuardian products are designed with HEPA filters and Carbon filters. These devices capture common allergens including dust mites, mold spores, pollen and pet dander. GermGuardian models are equipped with ultraviolet light technology (UV-C). UV-C is a safe form of radiation that kills 99.9% of airborne germs, bacteria, and viruses. It works by altering the DNA structure of these particles, which stops them from reproducing. If you’re concerned about mold inside the home, GermGuardian has one of the best air purifiers for mold. Hamilton Beach is a Virginia-based corporation and has been a well known brand in home appliances for many years. In regard to their air purifiers, the brand focuses on the lower end market to generate more mass appeal. Since most of their products are very inexpensive, there’s not much about them that makes them unique. A HEPA filter is at the core of every device to capture harmful airborne allergens. A Zeolite filter for odor reduction is an additional selling point for some models. All-in-all though, Hamilton Beach makes great air purifiers for small spaces and people that are on a budget. The company also has a fantastic air purifier for pets that has thousands of positive reviews. Honeywell’s corporate headquarters is located in New Jersey and is another brand that is well known for home appliance products. Honeywell’s line of air cleaners includes portable air purifiers, tabletop units, and UV treatment systems. You can find all kinds of combinations with their devices that include HEPA filters, Carbon filters, UV-C lights, and Ionizers. To generate mass appeal, Honeywell targets the lower price range with their air purification products and has several models that continue to be top sellers in the industry. This brand is our top choice air purifier for allergies. Rabbit Air is based in California. Rabbit Air is one of the most trusted brands in the air purifying industry. All products come with a 5-year warranty and 24/7 technical phone support. Each air purifier features a special BioGS HEPA filter, which is considered superior to standard HEPA filters because it doesn’t lose efficiency over time. It still captures airborne contaminants and allergens at the same rate, however, down to 0.3 microns with an efficiency of 99.97%. The most notable feature of Rabbit Air units is that they can be customized by adding a special filter to address particular circumstances. Customized filters can be selected that provide defense against germs, target pet allergens, absorb toxins or remove odors. Additionally, this brand is the only one that creates air purifying products that can stand alone on the floor or be mounted to a wall. It has also generated a lot of buzz around their products by allowing consumers to customize the front panel of their MinusA2 air purifier model for style and comfort. Their “Artists Series” features images by Gustav Klimpt, Katsushika Hokusai, and original designs by Rabbit Air’s creative team. Rabbit Air continues to be one of our 10 most recommended air purifiers for the cleanest, freshest air. Winix Corporation’s head office is located in South Korea. Winix air purifiers use a multi-stage air purification process that includes a patented PlasmaWave technology. PlasmaWave uses water vapor to neutralize airborne viruses, bacteria, chemical vapors odors, and gases. This technology is completely safe for humans and pets and doesn’t produce any harmful byproducts like ozone or ionic emissions. This brand is also one of the few that offers a washable True HEPA filter to capture 99.97% of harmful airborne particles. This functionality allows you to wash the filter multiple times before having to pay for a replacement. Washable Activated Carbon filters are also used in many of their air purifiers to get rid of smelly odors. If you have pets and want to get rid of their dander, odor, and hair, Winix offers one of the best air purifiers for cats and dogs you can buy.